Supplies of garlic in the US are in the midst of a gap at the moment as the season transitions between the California and Mexico seasons, and the South American season. However, the majority of garlic grown in South America is less favorable to the US market and therefore prices will continue to be high. 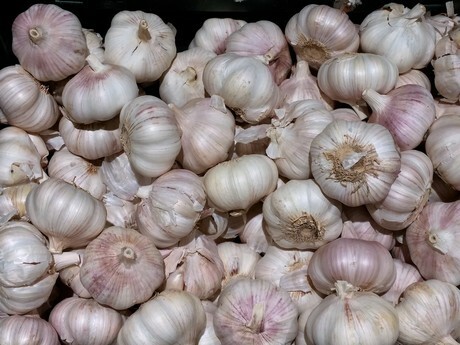 "The new crop of California garlic is all harvested and supplies are coming out of storage at the moment," said Mark Wilson, of Wilson Produce in California. "Mexico is also done for the most part but there is still some around. We mostly grow white garlic in the north of Baja California as well as the Central Valley in California right behind the purple garlic season. Volume was lower than initial projections at the start of the season. The heat spell in June was a factor and it also held sizes back. The market has been higher with terminal market prices hovering between $45-$65. This is pretty normal for this time of year and has been for about the past 3 years since China has been backing off the US market." Chile and Argentina will be the next major supplier in the Americas. However, they remain a limited supplier to the US market as they mainly grow the Chinese variety which is in lower demand in the US. "South America is next with Chile and Argentina ready to go," Wilson said. "Supplies are on the water as we speak with the first shipments expected to arrive into Mexico this week, followed shortly after by the East coast. The South American regions mainly target the European and Latin American markets as they generally grow the Chinese variety. It's typically in lower demand in the US, but some of the larger sized garlic will make its way into the North American market." Recent years has seen China slowing down their exports of garlic to the United States. Wilson said this has partly been caused by stricter laws by the US government on the issue of import duties. He also observed that Spain has been growing their presence on the garlic market in recent years. "Imports of garlic from China have been down in the last few years," he noted. "The US government was able to stop China from dumping garlic onto the market by changing the laws and enforcing stricter import duties. Previously, some Chinese shippers were skirting around this by effectively shutting down operations and transferring to another name, leaving the broker holding the balance. This left import duties unpaid to the tune of millions of dollars. As a result, the last few years have seen garlic prices increase." "The biggest factor of late has been the growth of Spain as a garlic producing nation," Wilson continued. "They are emerging as a major player in the market. Their season usually commences end of July, beginning of August and they compete directly with California and Mexico. Spain have found an accepting market for white garlic and we continue to see big growth from them. One of the reasons is that they are able to compete on costs. All aspects of garlic production need to be done by hand - from harvesting, cleaning and packing. Every bulb needs to be touched by a human hand so mechanization hasn't really worked like it has for other fresh produce. This means that labor costs are a major factor."